Betty Boop - BN Licensing B.V. 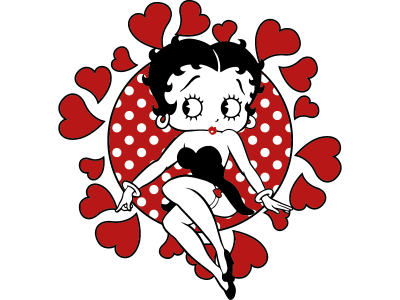 Style icon, glamor diva and the absolute queen of cartoons: Betty Boop of course! Originally created by Max Fleischer over 80 years ago Betty Boop made her first big screen appearance in the cartoon “Dizzy Dishes.” At the beginning, she had no name, and she came into the show as the girlfriend of the animated dog Bimbo. She was so popular however, that she was given a name and about a year later she owned her own stage. A star was born! Today, Betty Boop still enjoys international acclaim. She is a global icon, recognized for her name, unique looks, glamourous appearance and sassy personality and is a source of inspiration for top designers. © 2018 King Features Syndicate, Inc./Fleischer Studios, Inc.™Hearst Holdings, Inc./Fleischer Studios, Inc.